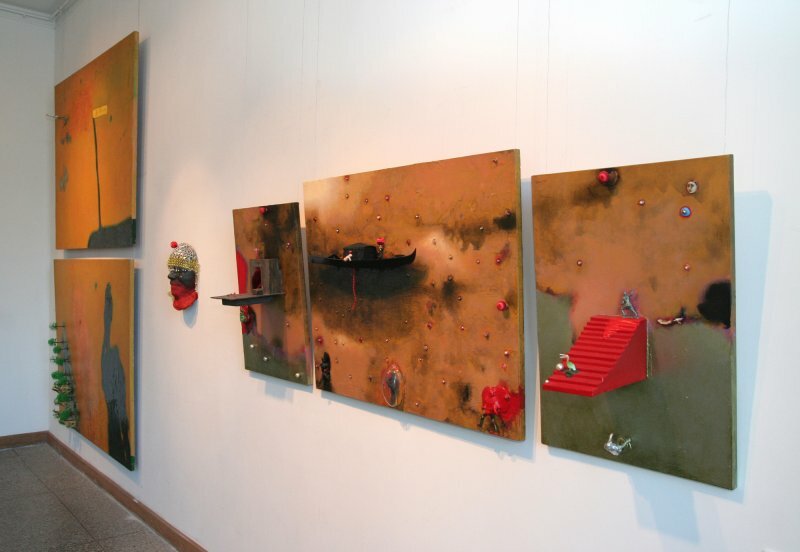 Ilmārs Blumbergs’ solo exhibition THE GLASS PEARL GAMES will present the artist’s paintings, assemblages and objects. 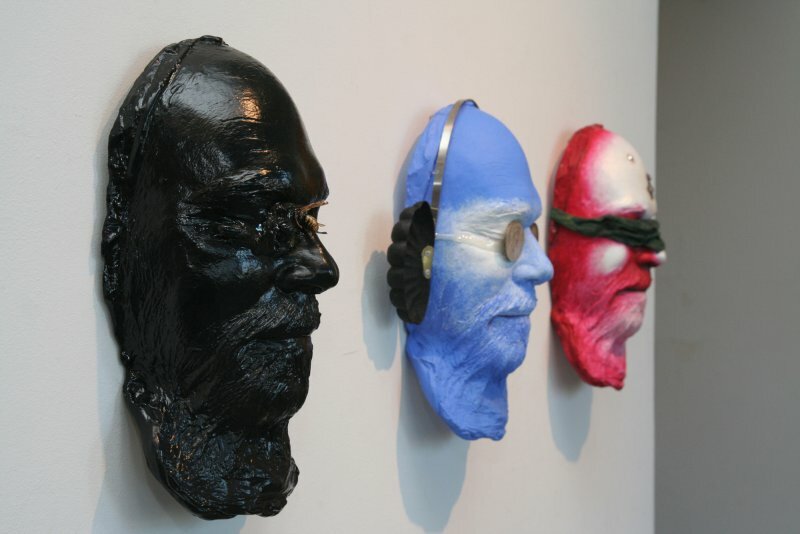 The artist does not limit himself by common artistic means but uses a wide, colourful and unordinary spectrum of materials – resin, plastic, wood, charcoal, glass, various organic materials, banal ready-made objects – beads, plastic figurines etc. Blumbergs can be considered the most influential representative of mythological thinking in Latvian art. His theme in art is the existence of human being; the object of artistic research – life and death. Symbols and irony are always intertwined in the artist’s works. In this exhibition it shows in the absurd texts (“Friend Searching for Beads”, “Devil Take the Content, Stress the Form, Vitja”, No Joy in Life, Read Koran”, “Freedom is Dangerous” etc.) attached to the works but one should remember they have come from life in the form of quotes, graffiti and slogans. 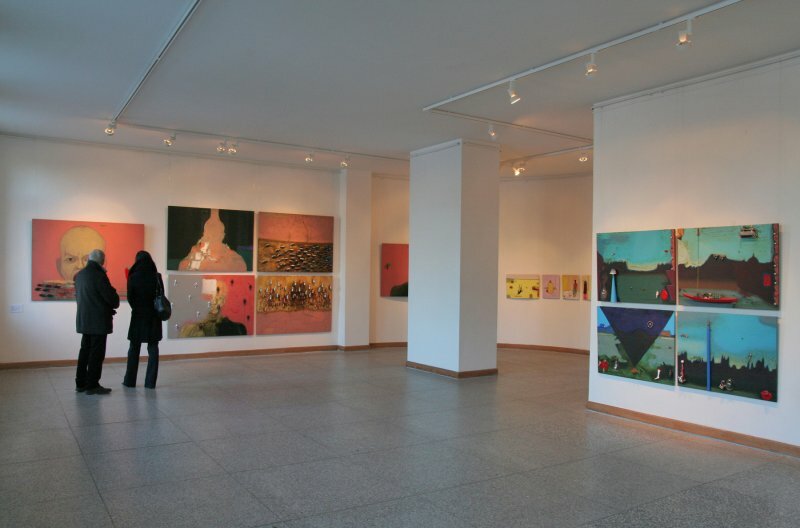 Ilmārs Blumbergs’ solo exhibition “The Glass Bead Games” will be on view on both floors of the Riga Gallery. The show includes also the dedication to the Mozart’s opera “The Magic Flute”; the artist had started working on it already in 1998 together with the prominent Russian director Yuri Ljubimov. The work on this theme has been presented in different versions, including the staging of “The Magic Flute” at the Latvian National Opera together with the director Viesturs Kairišs and multi-media exhibition at the Latvian pavilion at the 49th Venice Biennial in 2001; the work is going on till now.